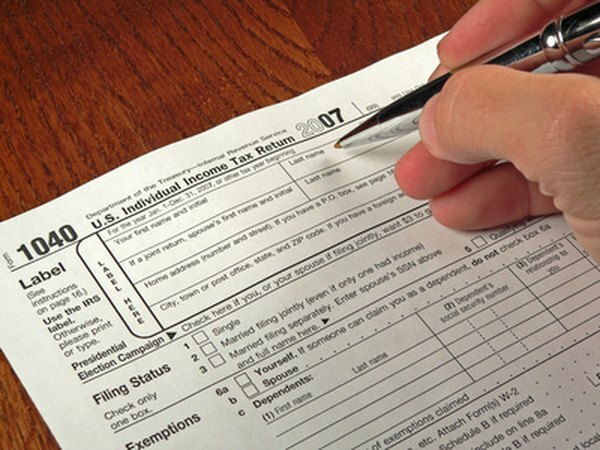 IRA tax breaks are claimed on Form 1040 or Form 1040A. 1. How Much Will an IRA Reduce My Taxes? 2. Do TSP Contributions Affect an IRA? Individual retirement accounts qualify for several tax benefits. Unlike employer plans, the contributions aren't taken out of your paycheck, so you must proactively claim the tax breaks on your tax return. If you accidentally overlook the tax breaks, you'll have to go back and amend your return, assuming the statute of limitations for amending hasn't run out. No matter what type of IRA you contribute to, the contribution makes you potentially eligible for the retirement savings credit. Besides making the contribution, you also have to have income below the annual limit and not be a full-time student. The income limits change each year and differ for each filing status. You can use up to $1,000 of your IRA contribution in calculating the credit, which ranges from $100 to $500 if you're eligible. Traditional IRA contributions are usually tax-deductible as an adjustment to income. Since it's an adjustment rather than an itemized deduction, you can claim the tax break even without giving up your standard deduction. The deduction equals the smaller of your annual contribution limit or your contributions for the year, so you're limited as to how much you can put in it. For example, if your annual contribution limit is $6,000, your deduction is limited to $6,000. For once, being covered by an employer-sponsored retirement plan like a 401(k) or 457(b) isn't beneficial on your taxes. If you or your spouse participate in an employer plan, you might not be able to deduct your traditional IRA contribution, even if you file separate returns. For covered individuals, the IRS imposes income limits on who can deduct their traditional IRA contributions. If your income is too high, you can't claim a deduction for your contribution. Your deduction is also affected by your filing status and whether you received Social Security benefits. From the moment you deposit money in your IRA, any growth is tax-free as long as it stays in the account. Growth includes any investment returns, such as interest and long-term and short-term capital gains. If you deposited the money in a traditional IRA, you'll have to eventually pay the piper when you take distributions. However, if you deposited the money in a Roth IRA, and you take a qualified withdrawal, all the money comes out tax-free, including investment returns -- not a bad benefit in exchange for not getting to deduct your contributions.